The Sophie Allport Woof! 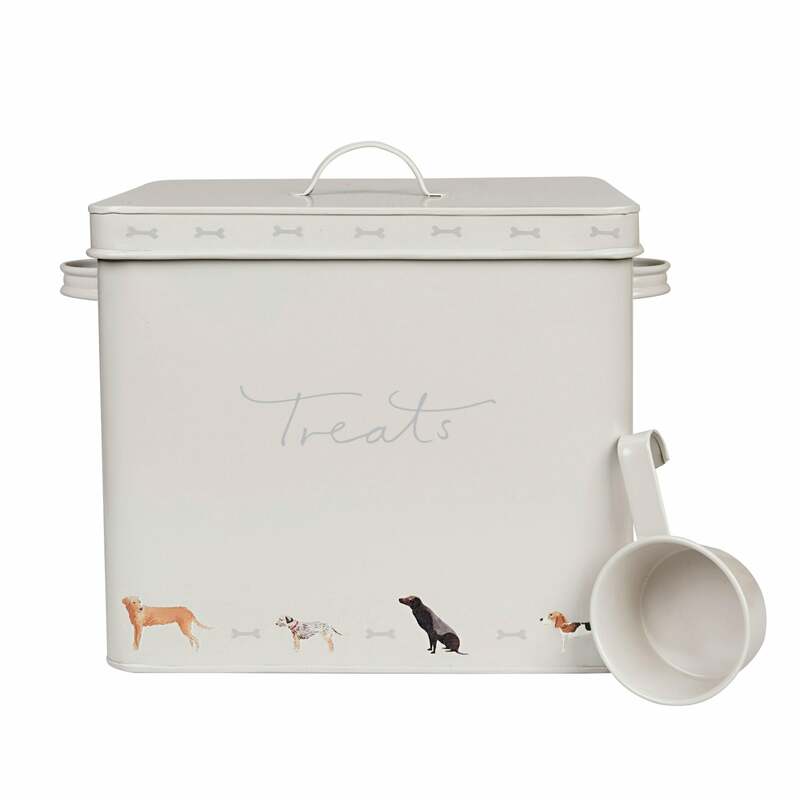 Dog Treat Tin is a practical and stylish addition to your kitchen or utility room. The perfect storage solution for your dog's dry food or treats to keep prying noses at bay! This stylish metal storage tin comes with a handy scoop with small grey bones around the rim of the removable lid. A lovely gift for your cherished pet featuring a range of gorgeous dog breeds including a Dalmatian, black Labrador, Fox Red Labrador, Jack Russell, Terrier, Pug, Pointer, Scottie, Springer Spaniel, Cocker Spaniel and Dachshund.